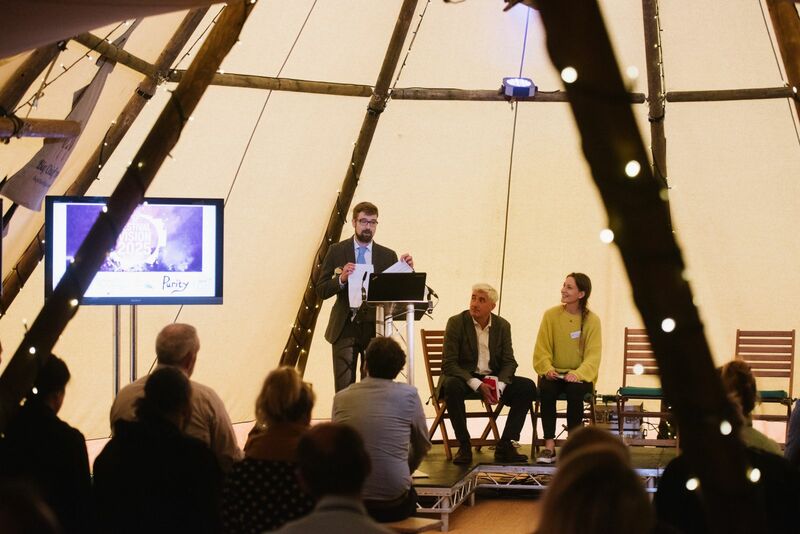 Over 50 Vision:2025 festival teams and environmentally-minded suppliers gathered on the first day of the Showman's Show 2018 in the ‘Hub Talks’ tipi to share knowledge and experiences of working towards making events more sustainable. Teams from events as diverse as Hay festival, Boomtown, Greenbelt and Just So festival, and many more, gathered to watch Johnny Lance, of Lance Show & Publications Limited, open the day with a round-up of initiatives the Showman’s Show team had undertaken to improve the event’s environmental impact. This was followed by Paul Reed of the Association of Independent Festivals sharing how 60 UK festivals have come together around cutting single-use plastics at events.